Mdern property management is at a crossroads where old methodologies meet new efficiencies and improved levels of customer service via technology. So how does our increasing ability to monitor and respond to issues remotely sync up with traditional hands-on expectations? 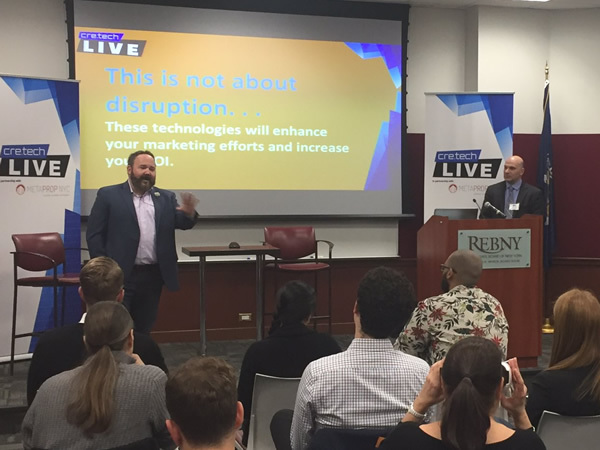 That was one of the key themes at this month’s CRE.tech LIVE event held at Real Estate Board of New York (REBNY) headquarters in Midtown Manhattan. The event was co-produced by cre.tech and MetaProp NYC, and presented by JLL. As one of the commercial real estate industry’s thought leaders in technology, cre.tech take face-to-face engagement as seriously as its online presence. Personal meetings are more important than ever and this groundbreaking monthly educational event series is designed to be considerate of your time, address your technology needs and deliver real ROI. 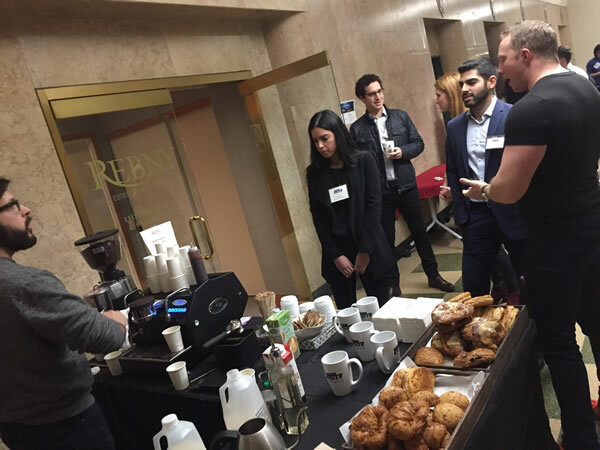 This month’s attendees were treated to Proof Coffee’s organic coffee bar and terrific networking opportunities. Kicking off the conversations were MetaProp NYC co-founder Zachary Aaron and Corigin Ventures’ CEO Ryan Freedman, who delighted the crowd with an insightful coffee chat. They discussed the role of property managers in the future, changing real estate expectations for millennials, and other trending topics. Next, attendees participated in several first-rate educational sessions designed to inform and inspire. Matterport’s Marc Rehberger led an educational session about virtual and augmented reality for space planning and marketing. He talked about how the commercial real estate industry is replacing 2D representations of flat data with elaborate 3D representations of re-combined data sets yielding valuable new insights and revealing complex relationships. Real Data Management’s (RDM) Peter Boritz led an educational session about using the cloud as a platform for innovation. After presenting a brief history of CRE tech’s adoption curve, Boritz talked about how smart property managers are waking up to the power of cloud services, where they can manage their real estate and run entire business ecosystems on-demand. Integrated Business System’s (IBS) Michael Mullin led an educational session about cybersecurity for property management. Viewed as one of today’s most prominent threats, cybersecurity has not yet been highlighted as a key issue for the real estate sector. However, with the transition to intelligent buildings enabled by the Internet of Things (IoT) and the matter of corporate liability, concerns within the sector are now rapidly changing. Building Engines’ Scott Sidman led a session about the concept of building a building community. With the nature of work changing rapidly, companies need to act now to adapt the old way of operating buildings to this new reality. One idea gaining traction among tenants and their employees is the view of building as a community. This will require a shift from traditional property management to experience management. transforming our buildings, workplaces and operations. Participants included Margaret Streicker, Founder and President of NewCastle Realty Services; Gene Boniberger, SVP of Building Operations for Rudin Management; Bob Best, Head of Energy and Sustainability at JLL; and Gaston Silva, COO – New York for Vornado Realty Trust. The panel was moderated by Ryan Baxter, VP of REBNY. The panel discussed wide-ranging questions about what makes a building smart, what data they are collecting now and how it’s being used to improve operations and efficiency. They also talked about the relationship and responsibilities between tenants and owners when it comes to driving tech adoption, as well as data transparency and sustainability, and several other topics important to the modern property manager. Videos of the CRE.tech LIVE educational sessions, coffee chat and panel discussions will be available in the coming days. The next event, “Commercial Real Estate Brokers as Change Agents,” will be held on March 30th at REBNY’s Manhattan headquarters and early bird discounts are available now.